This course provides essential knowledge, understanding and awareness of the potential hazards and risks which have a potential to impact on the quality of drinking water when working on restricted operations sites. This course provides you with the “blue” card. Price is £95 inc. card plus VAT – half day course. 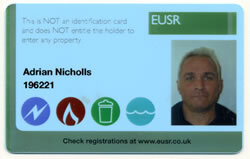 The EUSR accredited SHEA – Safety Health and Environmental Awareness – is the first step safety, health and environment awareness course for those who work for water companies such as United Utilities, Yorkshire Water Services, Severn Trent and Thames Water etc. 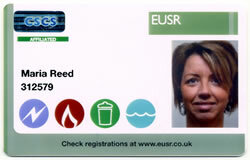 This course provides you with a CSCS affiliated card. Price is £155 inc. card plus VAT – full day course.